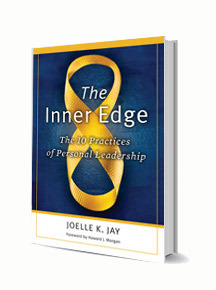 Joelle K. Jay, Ph.D., is a principal at the global leadership development firm, Leadership Research Institute. As an executive coach, author and speaker, Joelle helps leaders achieve top performance and business results. Her clients include presidents, vice presidents, and C-level executives in Fortune 500 companies. 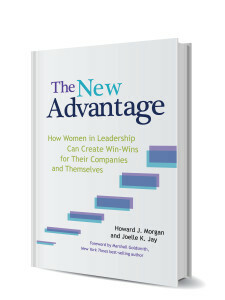 Joelle is the author of The Inner Edge: The 10 Practices of Personal Leadership and co-author of The New Advantage: How Women in Leadership Can Create Win-Wins for Their Companies and Themselves. Jan Day Gravel is an executive coach and an associate consultant of Leadership Research Institute (LRI). Jan has over twenty-five years of experience in executive coaching people to develop their capacity to be better leaders in Fortune 500 corporations, not-for-profit organizations, and federal agencies such as the FBI. Jan has coached individuals and teams to address management issues and progress towards organizational and leadership excellence. Jan holds a Professional Coach Certification from the International Coach Federation.